I woke the kids and my husband up early on Sunday morning, like 4am early. 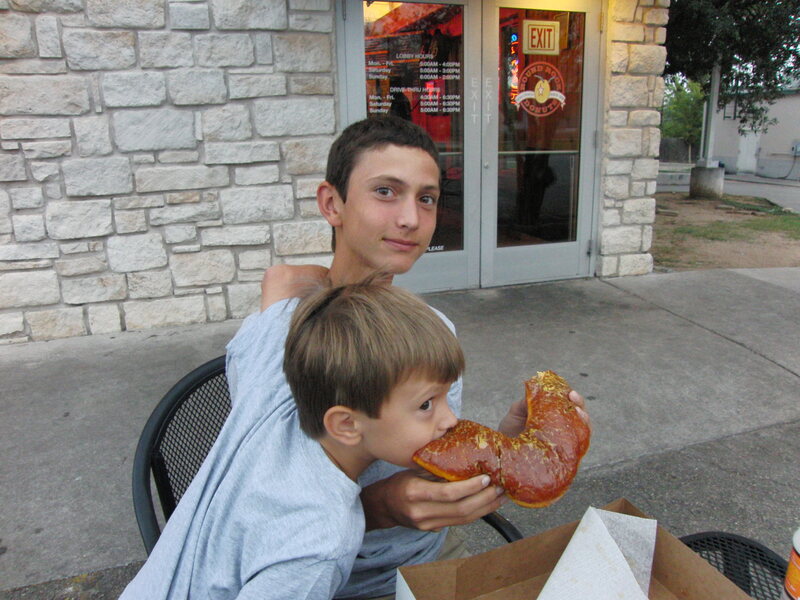 We loaded up in the car for a day trip to San Antonio, but not before stopping at Round Rock Donuts on the way down! 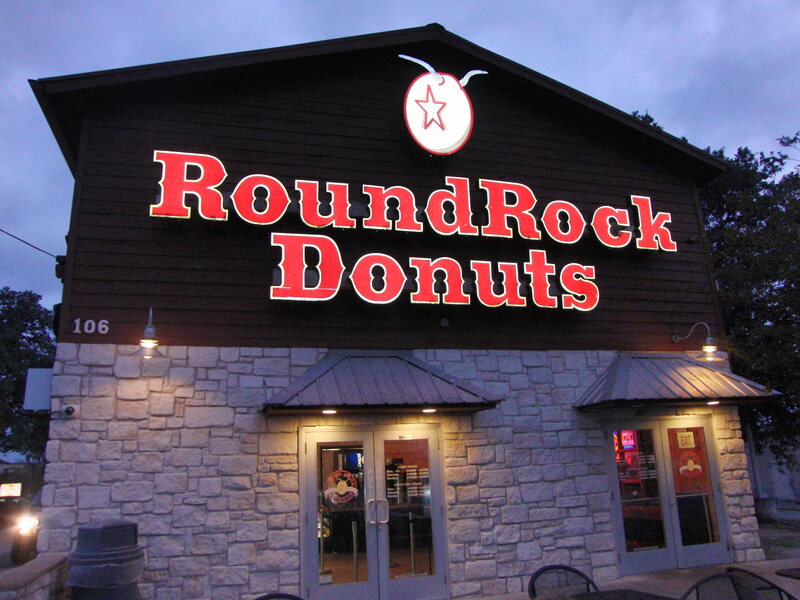 The scenic little town of Round Rock is known for their donuts! The store is a quick on/off from the interstate, but thankfully it’s not ON the interstate! 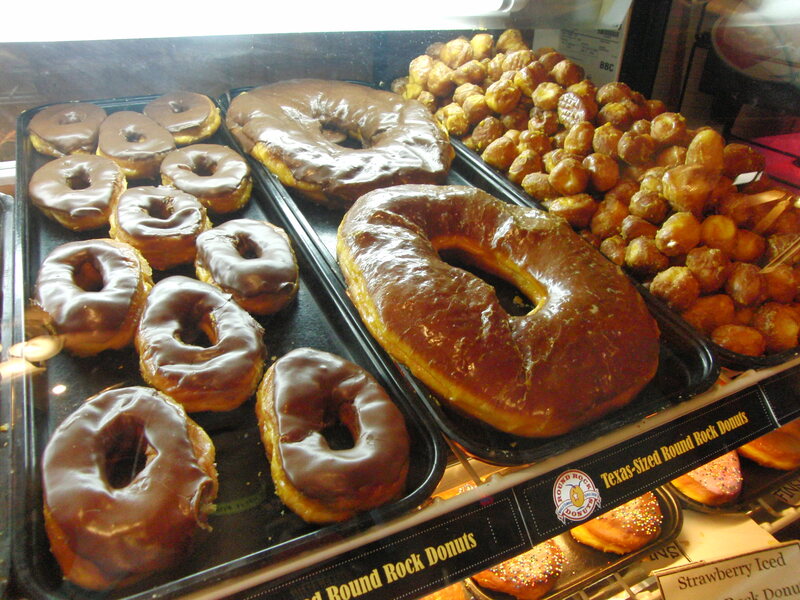 Round Rock Donuts which are made with yeast, just taste different than other donuts. I’m not sure if it’s their yellow dough, which they attribute to using fresh eggs, but they sure are delicious! The recipe has remained the same since 1926, although RR Donuts has changed locations and owners many times over the years! 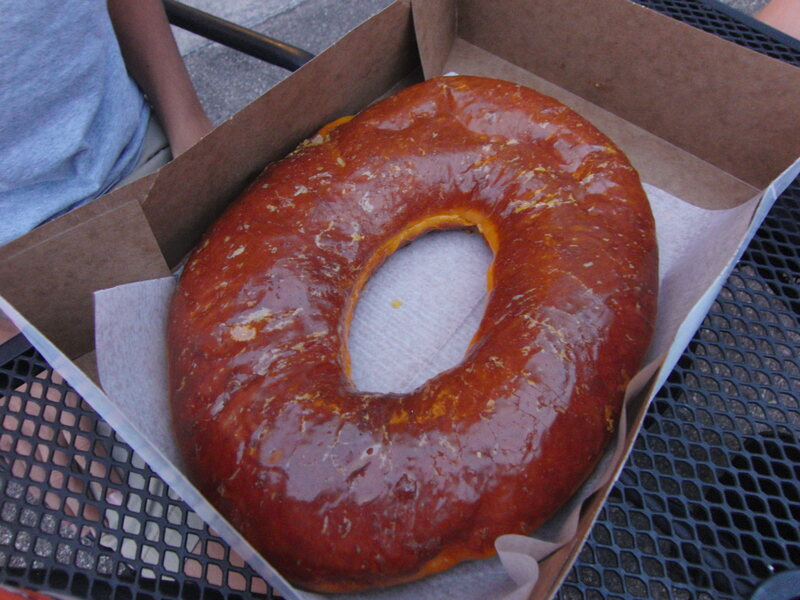 Their Texas Sized Donuts are just that, as big as Texas! Of course, my 14 year old said he only wanted “one”! But he did get a little help from his little brother to finish it! The 3rd Sunday of every month is the Cloud Chasers Kite Club meeting for the Austin, TX area. They meet at Old Settlers park in Round Rock. Kites and Kite Flyers of every age and style will be there. Families are always welcome.